“We are asking the president and every member of Congress to have the courage to act to create jobs. To stand up to corporate influence in our democracy. And to take bold steps to build an economy that works for everyone,” Trumka said. By far, jobs and the economy was the top issue for voters-among union members and nonmembers-according to exit polls and an AFL-CIO survey conducted Tuesday night by Hart Research Associates. “The election results were extremely disappointing for the millions of union families who voted in this election, and for the hundreds of thousands of union volunteers who spent hours working for working family candidates,” Trumka said. But Trumka pointed to union voters as the firewall in crucial Senate victories in Nevada, California and West Virginia. With an extraordinary ground campaign, union members voted 64 percent – 36 percent for union-endorsed working family candidates in the House. They voted for the re-election of Sen. Harry Reid by a 40 point margin, for Gov. Joe Manchin by a 24 point margin and for Sen. Barbara Boxer by a 44 point margin. The AFL-CIO poll, conducted in the top 100 swing congressional districts, shows that voters overwhelmingly reject privatizing Social Security and raising the Social Security retirement age; they oppose tax cuts for the top 2 percent who make more than $250,000 a year; they reject abolishing the Department of Education; and they oppose reducing or eliminating the minimum wage. Voters in the swing congressional districts support a strong investment agenda to create jobs as well as an extension of unemployment benefits for jobless Americans. Fully 89 percent want to see tax credits for companies that create jobs in this country. An extraordinary 77 percent favor investing in rebuilding roads, bridges, schools and energy systems to create jobs. And 76 percent endorse investing in jobs to maintain U.S. competitiveness with China, India and Germany. The AFL-CIO grassroots campaign was mammoth: 200,000 union volunteers knocked on 8.5 million doors, distributed 19.4 million flyers while talking to workers at their worksites and made tens of millions of phone calls. Members received 24.6 million pieces of union mail. Additionally, Working America, the community affiliate of the AFL-CIO, was active in 13 cities, 9 states and more than 80 electoral races around the country and knocked on nearly 800,000 doors and made half a million phone calls to voters around the country. But union volunteers’ efforts came up against a flood of anonymous corporate spending through front groups that ran television ads attacking Democrats and supporting Republicans. According to Open Secrets (www.opensecrets.org), 74.2 percent of all contributions in this election cycle were by corporations. “One of the major factors in this election was the blowback from corporations to the efforts to put more balance into the economy-that’s what produced a torrent of secret corporate money,” Trumka said. Starting today, union members will shift their grassroots mobilization from election efforts and into a renewed fight to create good jobs and restore the middle class. “The fight begins again now,” Trumka said. 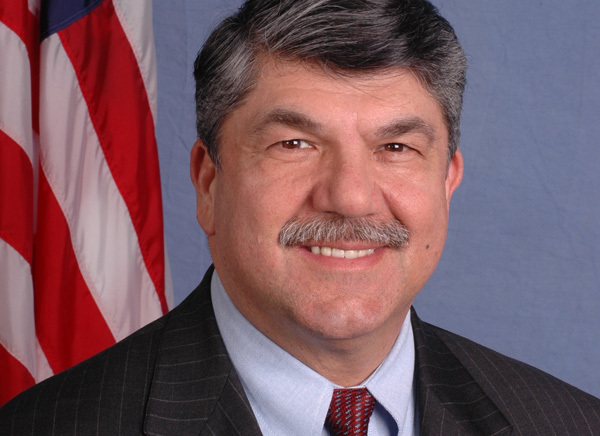 Trumka said immediate priorities of union members include stepping up the fight to end outsourcing, supporting jobless workers, asking multi-millionaires to pay their fair share and putting that money to work to create good jobs and security for working families and investing to build a 21st century infrastructure.